This family paid no deposit or hidden booking fees when they used this website to get in direct contact with the best charters in Alabama. Welcome to Orange Beach Fishing Charters Community Website. All of the information on this website comes from our combined guides years of experience in the charter fishing industry. Our goal is to educate you on all of the different charters that are available to you, tell you how to save money, so you will get exactly what you expect from your fishing trip and get the best return on your investment. We will also identify the middleman who takes a big chunk out of your money and can cause you not to get the best fishing charter experience. When you fill out a reservation request on this website and submit it, your information gets emailed directly to the type of charter that you have requested. Each captain will respond back to you from their own email account. This is what we call Booking Direct. Booking through our website saves you money because we don't charge any hidden fees, deposits or commissions to anyone. This is a benefit of being a member of our cooperative, where our boats or you, do not pay any commissions or hidden fees. Unlike every other large website or charter office, there is no middleman charter fishing booking agent when you book your charter with one of our boats. By not forcing our customers pay a middleman, you are going to get a better fishing charter. If you really care about getting the most out of your fishing charter, please continue reading this website and learn the insider secrets, so you will be able to use that knowledge to help you get the best charter for your budget. We will also explain how to get the best walk on or shared expense fishing charter in Orange Beach. We will also explain how to get the best shared expense charter by booking a full day trip. How To Skip The Middle Man, Save Money and Get The Best Fishing Charter! We can't imagine anyone in today's times and with the technology available, knowlingly paying a middle man an additional 15% to 25% to book their fishing charter. To us, it does not make any sense at all. When you go to a marina that has a charter office or use a super fish booking website to book your fishing charter, you are paying them a huge commission and you don't even know it. Everyone in the know, books their fishing charters direct with the boat they want to take them fishing. Be sure to read our page about who the middleman is in charter fishing to educate yourself. Go online and choose the charter boat you want to send a reservation to. You can use this website if you like to make your reservation if you like. Enter that boats name on the search engine and hit enter. You will likely find that businesses personal or private website. Then you need to contact that boat directly. Caution: When you search on Google for Orange Beach Fishing Charters, you will see a few business listings named "Orange Beach Fishing Charters, etc" What you need to know is, there are no businesses named Orange Beach Fishing, Orange Beach Fishing Charters and Guides. Those are key word names meant to re-direct you to their personal website. These are also middlemen who are trying to game the system in order to get a higher ranking on the internet. Be Sure To Check A Charter Boat's Online Reviews on Reputable Third Party Sites. Be sure to check out the boat you are considering on websites like tripadvisor.com, google reviews or yelp.com to get independent third party reviews about the charter you want to use. Those super fish booking websites mentioned above, manage their own reviews and that should be a big red flag to you. You need to read our frequently asked questions page to gain some more insight about how to get the best fishing charter and save a bunch of money. All of our charter members are hand chosen by our executive board. Our members must be of good character, solid moral fiber, have been in business for at least 5 years, are family friendly, have demonstrated professionalism in their personal life, businesses, and best of all, they are drug and alcohol free and ready to go to work for you. All of our charter boats are legal, carry required commercial insurance on their vessels, their crew and their passengers. They are all properly licensed and documented with the US. Coast Guard. All of our member boats are located across the eight local marinas located on Alabama's Gulf Coast. What you need to know is, there are a lot of small boats out there advertising fishing trips. Most of them are legal, but there are many that don't have the required documents, insurance, permits and fishing licenses needed to take you to catch quality fish. With the link above, we give you the information so you can query your potential charter to see if they are legit. When we you submit a reservation request via this website, your request will be forwarded to our charter boats, so they can respond directly to you. You will recieve service and quality that is unheard of in the charter fishing industry. How Your Budget and Timing Affects The Quality Of Your Fishing Charter! We have found out that Your Budget has a direct affect on your results or quality of your fishing charter. A lot of anglers have certain expectations about what they expect to recieve from their fishing charter. Some anglers want to catch a large variety of species and bunch of big fish to fill their cooler. Some people want to go fishing for the experience, catch a few different species and maybe keep some average size fish for dinner. There are also some people that have never been deep sea fishing before and feel their best option is to go as cheap as they can and catch anything that bites. There is a problem in charter fishing, because many charter boats advertise that they can deliver and meet your expectations no matter what trip you take with them. All too often captains lower their prices in order to get you on their boat. They over promise then hope they can deliver. Our charters do not do that. If anything, we are up front and don't embellish anything, because we don't want to let you down. Our charter boats clearly define what you should expect to receive when you book with them. If you want to save yourself some heartache, don't book yourself the lowest price charter and expect to receive the best service or the best fishing. We will try and explain this. There are three factors that affect your fishing charter. They are: Your Budget, Your Timing and Quality of trip expected. The biggest and most important factor is your budget. If you want the best fishing trip, you need to set aside a budget that will get you the results you expect. Many people don't know how their budget affects the results of their charter. We are here to tell you that people with a low budget do not get a qualtiy fishing charter. It's simply not possible to attain quality on a cheap budget. Timing is everything when charter fishing. Once you have budgeted for a quality fishing charter, now is the time to plan your fishing trip during the time when the fish you desire are in season or are plentiful. If you want to go fishing and the season is out, you will most likely not get the trip you had planned. Be sure to communicate with your captain and ask him "when is the best time of the year to go fishing?' This way, he can explain to you what your options are. To one person, quality may mean the size of the fish caught, the number of fish caught, combined with the boats appearance, the friendliness of the crew, etc. To some people, quality may mean - I caught a fish. If you have never experienced a quality fishing charter, let us tell you that it is worth budgeting for. If you don't budget for quality and decide to invest a bare minimum amount of money to go fishing, you had better not set your expectations to high. This is because the captains that offer low budget trips don't give a rip about you getting a quality trip. They are are only counting the number of people they have on board and how much money they just made. We hear them talking on the radio every day, bragging about the paycheck they are making. Almost every week we take people on a quality fishing trip and they tell us that the last time they went fishing, the experience was horrible. That is because they didn't know any better and booked a cheap trip on a party boat or they did a walk on charter where they fished with a lot of people on the boat. Our advice is for you to determine a budget, set your expectation and then choose the right time to go fishing. This way you will get the fishing trip you expect with the results you desire. The most important thing you need to know about deep sea fishing or inshore Bay fishing on Alabama's Gulf Coast, is there is something for everyone, every budget and every desire. The best thing for you to do first, is to establish your budget and then start looking for the fishing experience that fits with how much money you want to invest. You will never be able to catch enough fish to make the cost per pound to work out mathematically. You need to get your mind right and accept the fact that deep sea fishing or inshore fishing is all about the experience instead of trying to fill the freezer anymore. Having a few fish for supper and a few meals is reality in today's times. In Orange Beach, Alabama, your choices are deep sea fishing (aka bottom fishing) and bay fishing trips (aka inshore fishing). Deep sea fishing on the Gulf Shores consists of either staying close to shore (near shore) and trolling or heading further out to the reefs where you drop your lines to the bottom in hopes of catching a big one. Depending on the size of your group and your budget, we have boats that cater to everyone. Party Boat Fishing $69 to $85 Per Person Is Ideal For Tight Budgets. If your tight on money or don't want to invest a lot in your first time deep sea fishing, we have a party boat that we can refer you to. These boats are big and they hold a lot of people. If you don't mind fishing with a bunch of people you do not know in order to keep your price low, this may be the charter for you. The cost is anywhere from $59 to $85 per person, plus tip to go fishing for 4 to 6 hours, depending on the company you choose. The most popular party boats for the money are located at the Hudson Marina, but there are also party boats like Action Charters, Reel Surprise Charters at all of the other major marinas in Orange Beach. They charge considerably more, but they also take you farther offshore. One of the advantages of choosing a party boat to go deep sea fishing, is the boats are really big and they can go when seas are rougher than normal. One of the draw backs to party boat fishing, is you are packed like sheep in a trailer and don't have a lot of room to move around. Since the best spot to fish is on the stern, you might find yourself getting in a place on the boat that is not as desirable. You may also may be asked to sign up on a wating list until the office gets enough people on their list so the boat can run and be able to make a profit for the company. If not enough people call and sign up, you can potentially not be able to go fishing at all. This happens mostly before May and after mid August through the fall and winter months. Also, another one of the drawbacks is, when you catch your two red snapper for instance, you have to stop fishing and watch everyone else fish until they catch their limit. If you choose a party boat and you get sea sick and want to come back home early, you are out of luck. That is because it is a shared expense trip and turning around would ruin everyone else's trip. As long as you don't expect too much, party boats are ideal for first timers who are on a tight budget. You can catch some quality fish on some of these party boat trips. Walk On Fishing Charters $125 Per Person Is Just Right Price. Walk on fishing charters are also called shared expense charters. They operate similar to party boats because consumers pay a per person fee. These boats hold fewer people (7-15) per trip than the party boats who may have up to 100 people on board. There are a lot of regular charter boats in our area who try and offer walk on trips for $125 to $150 each, but (BEWARE) like mentioned above, they put you on a list and hope to get enough people to call them in order to fill the boat. This can leave you really disappointed if you were wanting to go and then the company doesn't get enough calls to fill the boat. If you are wanting to go fishing but not on a party boat during the spring (before Memorial Day) and after the first of August through the fall and winter months, you could not end up getting on a boat at all. During the summer months or red snapper season (June 1 to about July 21), getting on a walk on or shared expense trip is easier due to summer vacations being in full swing and there are enough people wanting to go fishing. The cost of these shared expense fishing charters ranges from $100 to $125 per person most of the time, depending on the size of the boat you are wanting to go on. Some people say that these trips offer as good a fishing as a private charter, but that is not entirely the truth. You are still on a boat with people you do not know and you are not in control of the trip if someone gets seasick and wants to head back in. If that happens, the captain will have to take a poll and vote on everyone heading back in just because one person is seasick. These trips used to be very popular back in the day, but Party Boats mentioned above have taken over this business to some extent. You can do your homework and find charter boats in Orange Beach that offer quality shared expense and walk on trips. The most popular fishing trips in Alabama are private charters. This is where only you and your group will be on the boat during your trip. These charters offer the BEST service around. With most charter boats offering private trips, you can get first class service and the captain takes you to his best reefs and lets you fight some really big fish. There is an advantage to taking a private charter. However, not all private charters offer the same level of customer service. It is up to you, to do your research and check out their reviews online to see if they will meet your expectations. Two of the best in Orange Beach are a six passenger boat named Distraction Charters and a multi-passenger boat named Intimidator Sportfishing. These boats also have air conditioning and private restrooms on board. Private Charters - Our best Orange Beach charter boats only offer private trips. Private charters can be on both inshore and offshore boats. Being private means only you and your group will be on the boat. On offshore trips, there will be deckhands or mates on board to serve you. The deckhands on these trips are there right beside you at all times and take care of your every need. The mates take time to educate and demonstrate different fishing techniques that you might not learn on a walk on or party boat trip. Your deckhand is paid in the form of a FEE, not a tip, that runs 20 to 22% minimum of the price of the charter that you paid, plus tip. You may always tip him above that amount if he deserves it. Our private charters offer offshore fishing and inshore fishing. As mentioned above, our fishing guides offer some of the best service in the world and have the reputation of being responsible, accountable and professional at all times with your family. All of our boats are independently owned and operated. Our captains run their own boats. Remember this. A captain running his own charter boat is important because you know what type of service you can expect from him. Vessel owners and captains, have a vested interest in ensuring you get a fishing charter that lives up to their reputation. Private charters range anywhere from 4 hours to 4 days. The most common deep sea fishing trips are 6 hours and most boats offer two trips or more every day. The ideal trip for families or first timers are these short trips. More serious anglers need to look at full day trips or longer. The most common inshore bay fishing trips are 4 to 6 hours in length. Inshore fishing charter boats can only carry a maximum of 6 people per trip. Back Bay fishing has become very popular over the past few years and we are seeing more guides arrive daily. With more guides, means more fishing pressure. With so much fishing pressure in Orange Beach, the abundance of fish supply does not last long and you might not catch many fish if you decided to save a few bucks and end up fishing with a guide who stays close to the bridge or ends up taking you offshore and live baiting for mackerel. The best guides are our guides like Jayhook Inshore Fishing Charters. They leave the Orange Beach area and take you to areas that are seeing less pressure and where the fish are more plentiful. The cost of these fishing trips runs about $450 for 4 people for 4 hours and goes up from there. The cost is a little more, but our guides are not afraid to burn the fuel to get you to where the fishing pressure is less. Our inshore guides move to where the fish are. The best back bay fishing is in Mobile Bay, so you need to find a guide who works that area if you want to catch speckled trout, redfish or tripletails. We offer a free service to our charter boats and to consumers. This means you get the best fishing charter and the best effort from our fishing guides. When it comes to deep sea fishing or inshore fishing on Alabama's Gulf Coast, we are just like you. We are parents, grandparents and because of that, we understand what you are looking for when it comes to getting good service and finding value added services. Whenever we go somewhere and want to experience an activity or find a good restaurant, we rely on reviews from third party trusted sites. We have all seen those form letters where only the names are different, but the reviews over exaggerate the service. Our mission is not to disappoint you. With us, we take customer service seriously and if at anytime you ever feel let down, we will make it right. That is who we are. With us, our goal is to create a good user experience and give you accurate and up to date information about fishing in Orange Beach. We live and breath on customer reviews and feedback from our past guests in order to grow our business each year. We understand you and hear your requests. This fishing site's success depends on us giving you, exactly what you expect from the information provided about your fishing trip. Great Customer Service, Professional Friendly Crew, Clean and Well Maintained Boats are a few of the best reasons people like you, choose us. We give you up to date information about deep sea, inshore and sport fishing on the Alabama Gulf Coast. We answer your questions about saltwater fishing and chartering a boat, so you will know what to expect when you arrive. We also share definitions commonly used by anglers and guides in our area so you will know what we are talking about. We have also simplified the process of finding the best charter and ultimately, booking a fishing trip. We are also members of the OBFA and The OBFC. We are also outdoor writers who share information about fishing, fish politics and serve on many panels of the Gulf of Mexico Fishery Management Council. Alabama is famous for it's artificial reef system that covers over 1200 square miles of the Gulf of Mexico. Until these man made reefs were built and better navigation aids like GPS were available, fishing for fin fish species like Shark, Red Snapper, Grouper, Amberjack, trigger fish, lane snapper, porgy, vermilion snapper, red porgy (white snapper)and cobia was almost unheard of. The Gulf Shores area, all the way to Fort Morgan and Dauphin Island have long been known for their great King Mackerel and Spanish Mackerel fishing. When we were kids growing up, most of the fishing we did along the Alabama Gulf Coast was near shore trolling for these two species of pelagic fish (migratory - non reef fish). As fish finding technology improved, we were able to build artificial reefs were able to re-locate them each trip in order to make bottom fishing relatively easy and have some consistency to it. The coastal Alabama area south of Orange Beach and Gulf Shores is mostly shallow and has a muddy or sandy hard bottom. Seven miles offshore you get to about 70 feet deep and 20 miles offshore, you are only in about 100 to 110 feet of water. There are some reefs that were built closer to shore that hold reef fish like red snapper, grouper and amberjack, but they see a lot of fishing pressure and are often hard to get a bite. However, if you take a 6 hour deep sea fishing trip, you have enough time to get far enough offshore to where the fishing pressure is less and the fishing is better. The oil rigs you see off of Gulf Shores Alabama's Coast are in what we call shallow water and hold some fish around them. They are too far to run too out of Orange Beach. Our artificial reefs produce better fish than the close in oil rig platforms. If you want to go after blue marlin, yellowfin tuna, mahi mahi (dorado) or Wahoo, you need to go at least 60 to 120 miles offshore to where the deep water oil rigs are located. To get out there, you need to take an over night fishing charter to a two day charter to have a chance to catch these species. Our artificial reefs simply don't hold game fish species like the deep water rigs do. As mentioned above, we have two distinct places to fish on the Alabama Gulf Coast near Gulf Shores and Orange Beach. They are either inshore or offshore charters. I will take the next few paragraphs and break them down for you and will give you a simplified explanation of each. Deep Sea Fishing - is best described as fishing in the deep sea or in deep water. Deep sea fishing is usually broken down into two sub categories of trolling or bottom fishing. Trolling is where the boat keeps moving and anglers drag lines with baits behind the boat waiting for a fish to strike. These fish are usually migratory in nature. Migratory means they live in open water or are free swimmers. They can be found anywhere there is ample amounts of food to eat. Trolling fish commonly caught off of Alabama include king mackerel, spanish mackerel, wahoo, tuna, billfish, bonito and a few more. When trolling, anglers are either dragging baits on the surface or below the surface of the water. Trolling can be done in any depth of water and in any area. The areas we mostly troll are right off the beach, all the way out to depths of over 5,000 feet and anywhere in between. Bottom Fishing is when the captain navigates and takes you out to a GPS location where artificial or natural reefs are located. He holds the boat still or anchors while you bait your hooks, stand on the edge of the boat and drop your lines beneath the surface of the water toward the bottom (hence bottom fishing). Anglers mostly fish on the bottom, but in recent years reef fish populations have recovered so you can often catch reef fish just beneath the surface or high in the column of water. The artificial reefs you are fishing on, are either public (built with public money) or they are private (built by the captain or boat owner). Public reefs are just that. Everyone who has access to the water can easily find the published GPS waypoints and go fish the spots. Private reefs are like personal bank accounts of fishermen. They are built by captains in order to have fish to catch when fishing is tough on public reefs. Having a private reef to fish nearby is like having insurance so your customers or family can easily catch fish. The most common baits used while deep sea fishing are either live or frozen. Live baits include, Cigar Minnows, Pin Fish, alwive's and tomtates. The most common frozen bait is either Cigar Minnows, Spanish Sardine, Cut Squid or Menhaden (Pogies). Any size boat can go deep sea fishing. In Orange Beach, most of the deep sea fishing boats are large (36' to over 65') and are designed to operate in that environment. Most of them have two engines, have air conditioned cabins and restrooms on board. For safety reasons, if you are heading offshore to go deep sea fishing, please choose a boat that has two engines. Another good company is Aquastar Charters. Inshore Fishing - is best described as fishing in bays, coves, channels, near jetties, underneath bridge pilings or near inshore artificial reefs. Most inshore fishing is done by using light tackle or spinning rods with 6 to 20 pound test. The best inshore fishermen fish for Speckled Trout, Flounder, Red Drum (Redfish), Black Drum, White Trout, Pompano, Sheep Head, Lady Fish and Tripletail (Blackfish). The baits commonly used are either artificial, cut bait or live bait. The most common live baits used are shrimp and Croaker's and Alwive's fish. Anglers usually cast their baits to the area they are fishing. Inshore bay fishing consists of fishing on the bottom or on the surface and anywhere in between. In recent past, because of intense fishing pressure during peak seasons, some inshore guides have found themselves moving offshore into a big boat world and have been fishing for what was traditionally known as a deep sea fishing area. One big difference is our inshore guide moves his operation to Mobile Bay whenever the fishing gets tough in Orange Beach. Which private fishing charters are best: Ones with Good Service or Ones with Low Prices? What you need to know as a consumer is, there are two levels of fishing charters and the service they provide in Orange Beach. There are those who sell low prices and there are those who sell good service. There is no such thing as getting good service at a low or cheap price. That is because everyone knows that good service costs a little more money. Whether you fish inshore or offshore, on a private charter or a shared expense charter (like a party boat), the charters that offer better service, are staffed with better crews, they have nicer and well maintained boats, they have newer and well maintained tackle and are very clean. They also know where to take you to catch quality fish (whether they are in season or not) and keep your rod bent with action. You Need To Know This about prices of charter fishing trips: Cheaper priced private charters for example, don't have the revenue to get you out to where the best fishing spots and will likely leave you wanting more from your fishing experience. 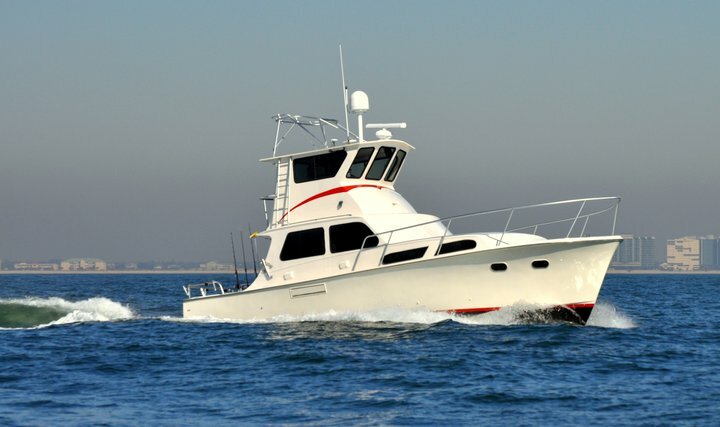 If you see a private charters and a boat ranging from 40 to 46 feet and are carrying 6 people for 6 hours and their price is less than $1250 plus tip, you are likely going to get a charter who is going to idle out or troll out real slowly, thus trying to save fuel and make up for selling their trip at less revenue. On the other hand, charters that charge a little more than $1,300, have the extra revenue on board so they can burn the fuel to get you farther offshore, where fishing pressure is less and you will have a chance to catch better and bigger fish. If you want the best fishing charter, you need to budget for a private charter and one that has awsome reviews that are consistently positive. If you don't really care if you get excellent customer service, go for the cheapest charter you can find, but please do them a favor and don't write them a negative review - because you know what you are getting when you booked the trip. Fighting a monster Mangrove Snapper while deep sea fishing is fun. Booking your Alabama Offshore and Inshore fishing charter is easy. All you have to do to book your charter is decide what type of trip you want to go on. Then you need to decide on a date you want to go. The third step is choosing a boat that fits your needs. The fourth and final step is submitting a reservation request so we will know what you want to do. Submitting a reservation does not lock you in to a charter. It tells us what you are interested in. We check our calendar and will return your email quickly with availability. You then need to give us a credit card number to hold it. After your initial contact request, the captain of the boat you want will reply to you. We promise to get back in touch with you quickly.